Nicole F. Loeser is an independent curator and art manager with over ten years of experience in working with institutions and companies across Europe. With great passion she realized numerous projects with international artists, curators and collectors. Understanding exhibitions to be opportunities for discourse, she presents artwork in conjunction with lectures, workshops, discussions and publications as a means of engaging the community and fostering learning. Her central interest is in featuring socially reflective and environmentally focused projects that introduce diverse and forward-thinking perspectives. In 2017 she founded together with Viktoria Trosien the Institute for Art and Innovation. The multidisciplinary institute explores and promotes art and innovation as a means to foster social impact and change. 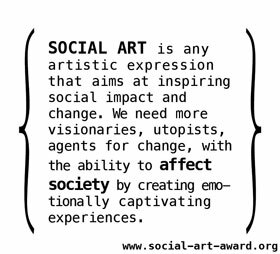 For this purpose the institute established the Social Art Award. Furthermore the institute undertakes research, training, production and exchange. 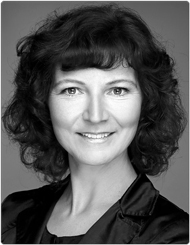 She is also the founder of the Berlin based organization WHITECONCEPTS. 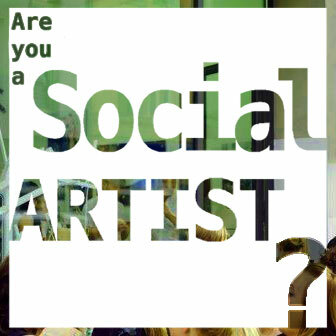 Its mission is to cultivate an exchange among artists and patrons about ideas concerning contemporary art. In close collaboration with artists it is developing and organizing art projects to gain the art to its freedom and its appropriate context. Nicole studied Musicology, Cultural Studies and Economics at the Humboldt University and Fine Arts at the Art Academy in Berlin. Her work with people is global in reach. It is grounded in her interests for creative and scientific research, as well as exhibition theory and practice. As an art critic, Nicole additionally publishes texts for catalogs, journals and publications.